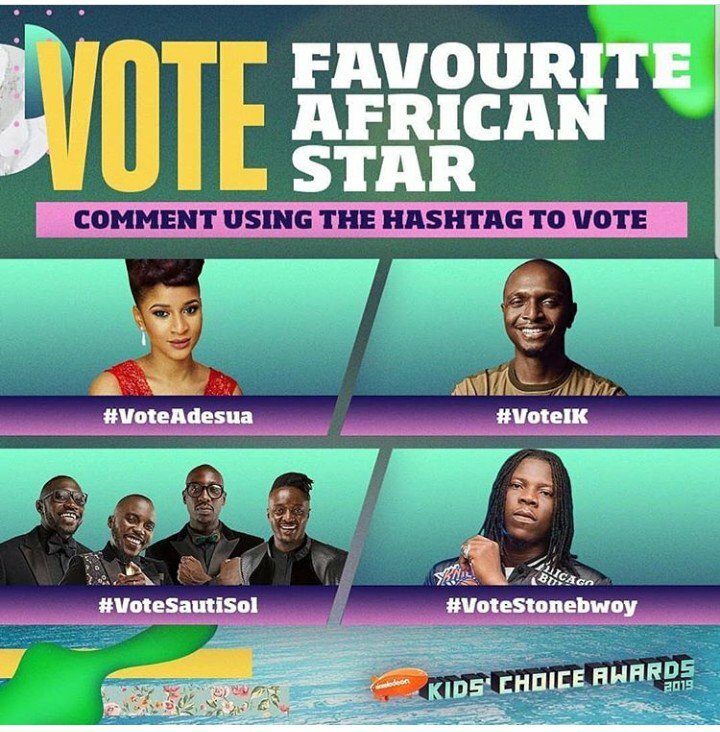 Dancehall artiste, Stonebwoy has added another international award to his award collection at the just ended Nickelodeon Kids Choice Awards. The BHIM Nation president won the Favorite African Star category award at the event that took place on March 24. The 'Top Skanka' hitmaker was in the race with Adesua Etomi-Wellington, IK Osakioduwa, both from Nigeria, and Kenya's Sauti Sol. The artiste was not present to receive the award but the organisers played a video where he was seen expressing his joy at winning the award.